Radium Valley Vacation Resort -+ Radium Hot Springs, B.C. Radium Valley Vacation Resort, a privately owned resort in the Columbia Valley that provides a great vacation, one that you will want to experience over and over again. Radium Valley is a membership campground, however they do accept reservations from non-members. Your first camping experience with us will not be your last! Reservations are recommended. Sorry no tent sites, Radium Valley only accepts Self-contained RV’s (units with kitchen & bathroom facilities). Radium Valley Vacation Resort has 144 full hookup RV Sites, and RV Camping available during the winter months. 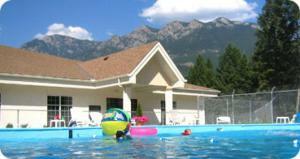 With a large recreation centre available for the enjoyment of all Radium Valley Vacation Resort guests. There you can enjoy the lovely indoor swimming pool & hot tub or get your workout in the exercise room or on the racquetball court. Play some ping pong, shoot a little pool, challenge the kids to a game of foosball or air hockey. The Radium Valley Vacation Resort RV Park is affiliated with Resort Parks International (RPI) which gives our members access to discounted camping at premier campgrounds throughout North America. Radium Valley Vacation Resort offers ownership programs, you pick a week that you would like to vacation and a certain lot and that belongs to you and your family until 2085. If you can’t use that week one year rent it yourself or place it in our rental pool, pass it on to family, what a wonderful legacy to leave to children. Radium Valley offers a very unique vacation program. Our specially designed Vacation homes allow members to literally enjoy their homes away from home. 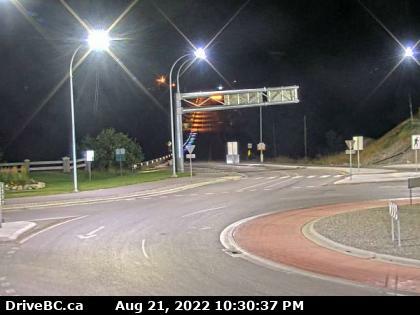 Radium Valley Vacation Resort has recently gone from the R.C.I week’s program to R.C.I points system. The future is finally here, no more vacations by the week. You can now vacation by the day and multiple times a year. Radium Valley has the best worldwide vacation program in the business and at the best prices.